I am sure everyone is ready for spring. It has been a tough winter for most of the U.S. and as February draws to a close, basketball fans will soon be able to celebrate the arrival of March Madness, the most exciting time of the year. The season ending conference tournaments begin soon and there should be some interesting storylines to follow. In college basketball the only thing as important as the NCAA Tournament is the conference tournament. All season long teams across the country compete for a winning record that will guarantee them a top seed in the conference tournament. Earning a top seed comes with its benefits as in some instances it could grant teams with a first and/or second round bye. For teams that struggle during the regular season the conference tournament is the light at the end of the tunnel that can send them to the NCAA Tournament regardless of past performances. Winners of each conference tournament are crowned as conference champions and receive an automatic bid to the NCAA Tournament. We got you covered with information on all the 2016 Conference Tournaments, with full schedules, links and more. But before we get to them there is a week or so left in the regular season. Click here for the AP Top 25 teams in College Basketball, and the full schedule with TV listings as they fight for their tournament seeds. The 2016 NCAA Men’s Division I Basketball Tournament will begin on March 15, 2016. We got your covered, from the announcement of the initial 64 teams — to eliminations that determine the Sweet 16 to the Elite 8 — all the action leads to the Final Four and the ultimate championship game played at NRG Stadium, Houston, TX on April 2nd and 4th. Click here to see when and where each round will take place. 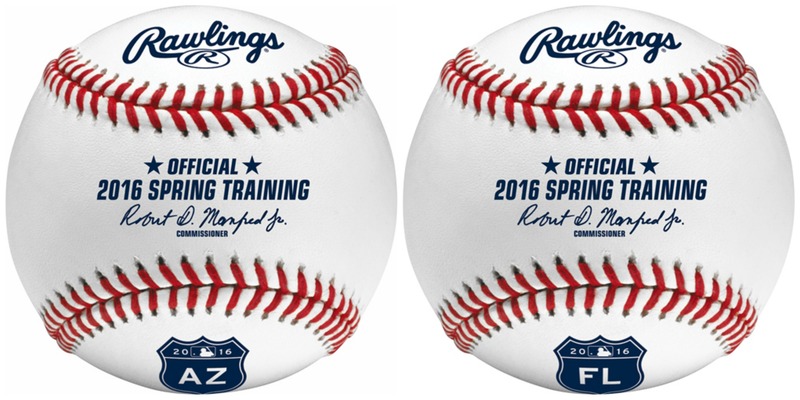 Spring Training 2016 is Here! With Cactus League clubs clustered in the Valley of the Sun and Grapefruit League teams dotting the Florida coasts and center of the state, Spring Training offers one of baseball’s great traditions while bringing fans close to the game and under the sun.Click Here for everything you need to know about MLB Spring Training’16. As the calendar flips to March the Capitals are the top team in the NHL. 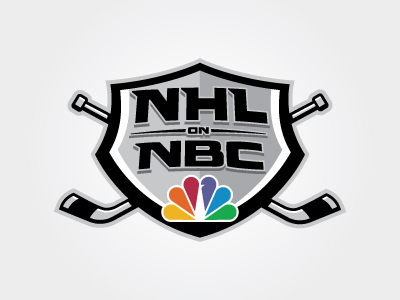 Click here for every NHL game this month. In the NBA, teams are also trying to get those coveted spots for the playoffs, Click here for the full schedule for the next 31 days. The Daytona 500 was just the start of what is sure to be an exciting NASCAR season. as NASCAR rolls into March, there are some great races on the schedule. But that’s not all, March is also the home to some great Golf and Professional Tennis Tournaments. Click Here for the PGA Schedule of Events and the ATP Men’s and Women’s Matches. But if you are like us, you love to drink beer and what better time than St. Patrick’s Day? You know that we would cover that as well, Click here for some great Irish Recipes and information on the Real Saint Patrick. As February draws to a close, basketball fans will soon be able to celebrate the arrival of March Madness, the most exciting time of the year. The season ending conference tournaments began about less than a week into March and there should be some interesting storylines to follow in the 2016 conference tournaments. But that is for the next section of this article, here are the top 10 teams as we flip the calendar, along with the remaining NCAA Men’s Basketball Schedule for the 2015-16 season. Game 7: No. 2 at No. 1, 11 a.m.
Game 7: Winner Game 3 vs. Winner Game 4, 3 p.m.
Game 8: Winner Game 5 vs. Winner Game 6, approx. 5:30 p.m.
Game 9: Winner Game 7 vs. Winner Game 8, 3:15 p.m.
Game 1: No. 12 vs. No. 13, 6:30 p.m.
Game 3: No. 9 vs. No. 8, 12 p.m.
Game 4: Winner Game 1 vs. No. 5, approx. 2:30 p.m.
Game 5: No. 10 vs. No. 7, 6:30 p.m.
Game 6: Winner Game 2 vs. No. 6, approx. 9 p.m.
Game 7: Winner Game 3 vs. No. 1, 12 p.m.
Game 8: Winner Game 4 vs. No. 4, approx. 2:30 p.m.
Game 9: Winner Game 5 vs. No. 2, 6:30 p.m.
Game 10: Winner Game 6 vs. No. 3, approx. 9 p.m.
Game 11: Winner Game 7 vs. Winner Game 8, 1:30 p.m.
Game 12: Winner Game 9 vs. Winner Game 10, approx. 4 p.m. Note: Louisville self-imposed a postseason ban and will not participate. Game 1: No. 12 vs. No. 13, 12 p.m.
Game 2: No. 11 vs. No. 14, approx. 2:30 p.m.
Game 9: Winner Game 5 vs. No. 2, 7 p.m.
Game 10: Winner Game 6 vs. No. 3, approx. 9:30 p.m.
Game 12: Winner Game 9 vs. Winner Game 10, approx. 9:30 p.m.
Game 13: Winner Game 11 vs. Winner Game 12, 9 p.m.
Game 6: No. 2 at No. 1, 12:30 p.m.
Game 2: No. 10 vs. No. 7, approx. 9:30 p.m.
Game 7: Winner Game 3 vs. Winner Game 4, 7 p.m.
Game 8: Winner Game 5 vs. Winner Game 6, approx. 9:30 p.m.
Game 9: Winner Game 7 vs. Winner Game 8, 6 p.m.
Game 3: Winner Game 1 vs. No. 1, 12 p.m.
Game 5: Winner Game 2 vs. No. 2, 7 p.m.
Game 8: Winner Game 5 vs. Winner Game 6, approx. 9 p.m.
Game 9: Winner Game 7 vs. Winner Game 8, 5:30 p.m.
Game 3: No. 10 vs. No. 7, 8:30 p.m.
Game 4: No. 11 vs. No. 6, approx. 11 p.m.
Game 5: Winner Game 1 vs. No. 1, 3 p.m.
Game 6: Winner Game 2 vs. No. 4, approx. 5:30 p.m.
Game 7: Winner Game 3 vs. No. 2, 8:30 p.m.
Game 8: Winner Game 4 vs. No. 3, approx. 11 p.m.
Game 9: Winner Game 5 vs. Winner Game 6, 8:30 p.m.
Game 10: Winner Game 7 vs. Winner Game 8, approx. 11:30 p.m.
Game 11: Winner Game 9 vs. Winner Game 10, 8:45 p.m.
Game 1: No. 11 vs. No. 6, 11:30 a.m.
Game 2: No. 10 vs. No. 7, approx. 2 p.m.
Game 3: No. 9 vs. No. 8, approx. 4:30 p.m.
Game 4: Winner Game 3 vs. No. 1, 12 p.m.
Game 5: No. 5 vs. No. 4, approx. 2:30 p.m.
Game 6: Winner Game 2 vs. No. 2, 6 p.m.
Game 7: Winner Game 1 vs. No. 3, approx. 8:30 p.m.
Game 8: Winner Game 4 vs. Winner Game 5, 12 p.m.
Game 9: Winner Game 6 vs. Winner Game 7, approx. 2:30 p.m.
Game 10: Winner Game 8 vs. Winner Game 9, 2:30 p.m.
Game 12: Winner Game 9 vs. Winner Game 10, approx. 3:30 p.m.
Game 13: Winner Game 11 vs. Winner Game 12, 3:30 p.m.
Game 7: Winner Game 5 vs. Winner Game 6, 11:30 p.m.
Game 1: No. 9 vs. No. 8, 6 p.m.
Game 2: No. 10 vs. No. 7, approx. 8:30 p.m.
Game 5: Winner Game 2 vs. No. 2, 6 p.m.
Game 7: Winner Game 3 vs. Winner Game 4, 1 p.m.
Game 8: Winner Game 5 vs. Winner Game 6, approx 3:30 p.m. Note: Southern Mississippi self-imposed a postseason ban. Game 1: No. 12 vs. No. 13, 5 p.m.
Game 2: No. 9 vs. No. 8, 1 p.m.
Game 3: Winner Game 1 vs. No. 5, approx. 3:30 p.m.
Game 4: No. 10 vs. No. 7, 7 p.m.
Game 5: No. 11 vs. No. 6, approx. 9:30 p.m.
Game 6: Winner Game 2 vs. No. 1, 1 p.m.
Game 7: Winner Game 3 vs. No. 4, approx. 3:30 p.m.
Game 8: Winner Game 4 vs. No. 2, 7 p.m.
Game 9: Winner Game 5 vs. No. 3, approx. 9:30 p.m.
Game 10: Winner Game 6 vs. Winner Game 7, 4 p.m.
Game 11: Winner Game 8 vs. Winner Game 9, approx. 6:30 p.m.
Game 12: Winner Game 10 vs. Winner Game 11, 2:30 p.m.
Game 1: No. 9 vs. No. 4, 12 p.m.
Game 2: No. 8 vs. No. 5, approx. 2:30 p.m.
Game 3: No. 10 vs. No. 3, approx. 5 p.m.
Game 4: No. 7 vs. No. 6, approx. 7:30 p.m.
Game 5: Winner Game 1 vs. Winner Game 2, 1 p.m.
Game 6: Winner Game 3 vs. Winner Game 4, approx. 3:30 p.m.
Game 7: Winner Game 5 vs. No. 1, 7 p.m.
Game 8: Winner Game 6 vs. No. 2, approx. 9:30 p.m.
FS1 will air the Ivy Play-off, if it occurs, March 12th at 5 p.m.
Game 1: No. 9 vs. No. 8, 5 p.m.
Game 4: Winner Game 1 vs. No. 1, 7 p.m.
Game 5: Winner Game 2 vs. No. 2, approx. 9:30 p.m.
Game 6: Winner Game 3 vs. No. 3, 7 p.m.
Game 8: Winner Game 4 vs. Winner Game 7, 4:30 p.m.
Game 9: Winner Game 5 vs. Winner Game 6, approx. 7 p.m.
Game 5: Winner Game 1 vs. No. 2, 12 p.m.
Game 6: Winner Game 2 vs. No. 3, approx. 2:30 p.m.
Game 7: Winner Game 3 vs. No. 1, 6:30 p.m.
Game 8: Winner Game 4 vs. No. 4, approx. 9 p.m.
Game 9: Winner Game 5 vs. Winner Game 6, 6:30 p.m.
Game 10: Winner Game 7 vs. Winner Game 8, approx. 9 p.m.
Game 11: Winner Game 9 vs. Winner Game 10, 7:30 p.m. Note: Florida A&M is ineligible due to APR issues. Game 1: No. 12 vs. No. 5, 6:30 p.m.
Game 2: No. 11 vs. No. 6, approx. 9 p.m.
Game 3: No. 9 vs. No. 8, 6:30 p.m.
Game 4: No 10 vs. No. 7, approx. 9 p.m.
Game 5: Winner Game 3 vs. No. 1, 6 p.m.
Game 6: Winner Game 4 vs. No. 2, approx. 8:30 p.m.
Game 7: Winner Game 2 vs. No. 3, 6 p.m.
Game 8: Winner Game 1 vs. No. 4, approx. 8:30 p.m.
Game 9: Winner Game 8 vs. Winner Game 5, 6 p.m.
Game 10: Winner Game 7 vs. Winner Game 6, approx. 8:30 p.m.
Game 11: Winner Game 9 vs. Winner Game 10, 1 p.m.
Game 3: Winner Game 1 vs. No. 1, 1 p.m.
Game 4: No. 5 vs. No. 4, approx. 3:30 p.m.
Game 7: Winner Game 3 vs. Winner Game 4, 3:30 p.m.
Game 8: Winner Game 5 vs. Winner Game 6, approx. 6 p.m.
Game 9: Winner Game 7 vs. Winner Game 8, 2 p.m.
Game 1: No. 9 vs. No. 8, 2 p.m.
Game 2: No. 10 vs. No. 7, approx. 4:30 p.m.
Game 3: No. 11 vs. No. 6, approx. 7 p.m.
Game 4: Winner Game 1 vs. No. 1, 3 p.m.
Game 6: Winner Game 2 vs. No. 2, 9 p.m.
Game 7: Winner Game 3 vs. No. 3, approx. 11:30 p.m.
Game 8: Winner Game 4 vs. Winner Game 5, 9 p.m.
Game 9: Winner Game 6 vs. Winner Game 7, approx. 11:30 p.m.
Game 10: Winner Game 8 vs. Winner Game 9, 6 p.m.
Game 5: No. 4 at No. 1, 2 p.m.
Game 6: No. 3 at No. 2, 4 p.m.
Game 7: No. 2 at No. 1, 7 p.m.
Game 1: No. 8 vs. No. 5, 7 p.m.
Game 2: No. 7 vs. No. 6, approx. 9:30 p.m.
Game 3: Winner Game 1 vs. No. 4, 7 p.m.
Game 4: Winner Game 2 vs. No. 3, approx. 9:30 p.m.
Game 5: Winner Game 3 vs. No. 1, 7 p.m.
Game 6: Winner Game 4 vs. No. 2, approx. 9:30 p.m.
Game 11: Winner Game 9 vs. Winner Game 10, 10 p.m.
Game 7: No. 4 at No. 1, 12 p.m.
Game 8: No. 3 at No. 2, 2 p.m.
Game 9: No. 2 at No. 1, 7:30 p.m.
Game 1: No. 12 vs. No. 13, 7 p.m.
Game 10: Winner Game 6 vs. Winner Game 7, 1 p.m.
Game 11: Winner Game 8 vs. Winner Game 9, approx. 3:30 p.m.
Game 12: Winner Game 10 vs. Winner Game 11, 1 p.m.
Game 7: Winner Game 3 vs. Winner Game 4, 5 p.m.
Game 8: Winner Game 5 vs. Winner Game 6, approx. 7:30 p.m.
Game 9: Winner Game 7 vs. Winner Game 8, 9 p.m.
Game 3: Winner Game 1 vs. No. 4, 6 p.m.
Game 4: Winner Game 2 vs. No. 3, approx. 8:30 p.m.
Game 7: Winner Game 5 vs. Winner Game 6, 9:30 p.m.
Game 1: No. 10 vs. No. 7, 3:30 p.m.
Game 2: No. 9 vs. No. 8, 9:30 p.m.
Game 3: Winner Game 1 vs. No. 2, 3:30 p.m.
Game 4: Winner Game 2 vs. No. 1, 9:30 p.m.
Game 5: No. 6 vs No. 3, 3:30 p.m.
Game 6: No. 5 vs. No. 4, 9:30 p.m.
Game 7: Winner Game 5 vs. Winner Game 3, 3:30 p.m.
Game 8: Winner Game 6 vs. Winner Game 4, 9:30 p.m.
Game 9: Winner Game 7 vs. Winner Game 8, 6:30 p.m.
Game 5: Winner Game 1 vs. Winner Game 3, 7 p.m.
Game 6: Winner Game 2 vs. Winner Game 4, approx. 9:30 p.m.
Game 7 Winner Game 5 vs. Winner Game 6, 9 p.m.
Game 5: Winner Game 3 vs. No. 1, 2 p.m.
Game 6: Winner Game 4 vs. No. 2, approx. 4:30 p.m. Note: Pacific self-imposed a postseason ban. Game 8: Winner Game 6 vs. Winner Game 7, 9 p.m.
Game 1: No. 5 vs. No. 4, 5 p.m.
Game 2: No. 7 vs. No. 2, approx. 7:30 p.m.
Game 3: No. 6 vs. No. 3, approx. 10 p.m.
Game 4: Winner Game 1 vs. No. 1, 9 p.m.
Game 5: Winner Game 2 vs. Winner Game 3, approx. 11:30 p.m.
Game 6: Winner Game 4 vs. Winner Game 5, 11 p.m. This year, the madness begins with Selection Sunday 2016! Watch on Sunday, March 13, 2016 as college basketball team match-ups are officially announced during a nationwide broadcast at 6PM ET on CBS and ESPN. Once the highly-anticipated Selection Sunday announcement is made, the big dance begins with a month-long battle of skill, determination, and dazzling performances by top competing college teams. From the announcement of the initial 64 teams — to eliminations that determine the Sweet 16 to the Elite 8 — all the action leads to the Final Four and the ultimate championship game played at NRG Stadium in Houston, TX on Sunday, April 4, 2016. The NCAA’s television deal with CBS Sports and Turner Sports (TBS, TNT and truTV) means that the two top broadcasters continued to have dibs on the rights to televise the NCAA Tournament games until 2024. 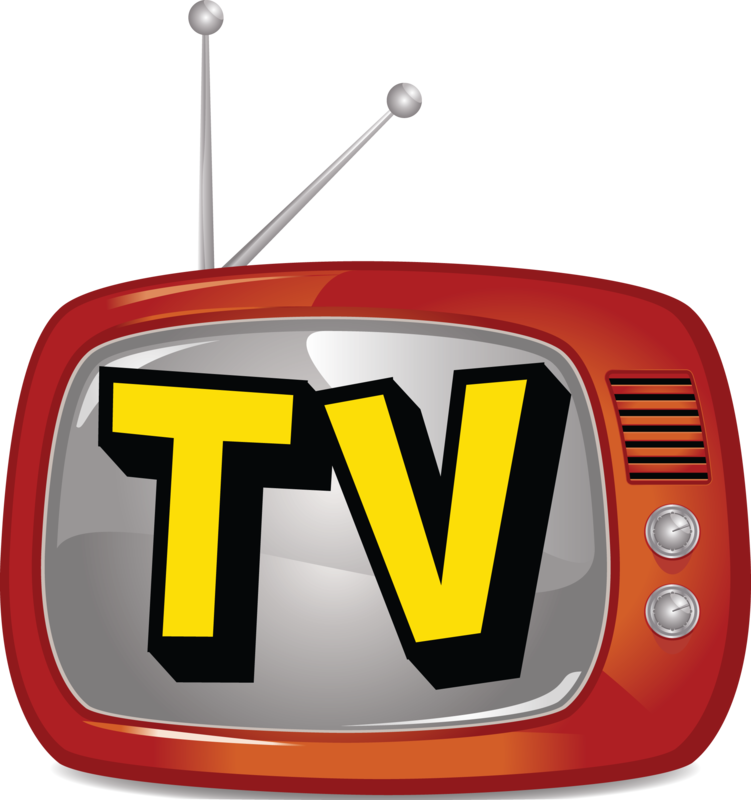 Watch for the First Four round to air exclusively on truTV beginning on March 15, 2016. Sharing first and second round coverage will be TNT, TBS, and TruTV. Thereafter, the regional semifinals (Sweet Sixteen and Elite Eight) will air on TBS and CBS with the ultimate Championship game airing on TBS on April 4, 2016 in primetime. March Madness 2016 NCAA.com - The official site for ticket information, the latest updates, scores, ranking and related pictures, videos, and feature stories, interviews and more. NCAA Basketball – CBS Sports - The official network TV station with headline reports & predictions, opinion and news, plus the latest scores at a glance and key dates for major games. NCAA Men’s Division I Basketball Championship - Wikipedia’s excellent overview of March Madness with tons of stats, facts and incredible depth of trivia answers. March 2 Chicago @ Detroit 8 p.m.
March 9 Chicago @ St. Louis 8 p.m.
March 16 Philadelphia @ Chicago 8 p.m.
March 23 Boston @ N.Y. Rangers 8 p.m.
March 30 Washington @ Philadelphia 8 p.m. This year St. Patrick’s Day falls on a Thursday, and as always is March 17th. St. Patrick’s Day Recipes and Cooking - Direct from the Food Network, with star chef’s favorites plus ideas for complete menu planning, recipes for classic Irish grub, tips on cooking with beer, plus top Irish drink recipes.